I celebrated my birthday recently, and I was so happy to get these personalized craft labels from Jen! 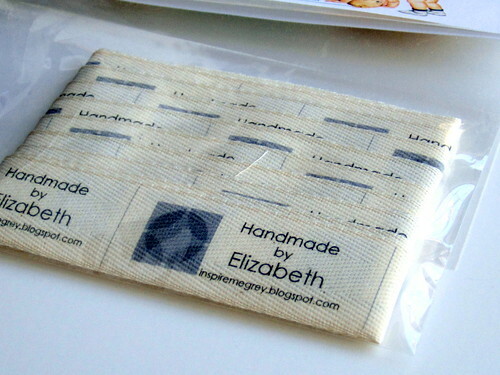 I've wanted to get labels for my handmade goods for a while now but could never make up my mind about what they should look like and where I should order them from. Purchased on Etsy from Mommie Made It, http://www.etsy.com/shop/MommieMadeIt?ref=pr_shop_more, the design is printed on twill tape﻿. I'm looking forward to attaching them to a few quilts I have in progress. Thanks Jen!